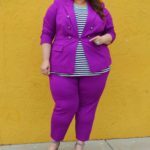 Every year in December, the Pantone Color Institute announces the “Color Of The Year” for the upcoming year. 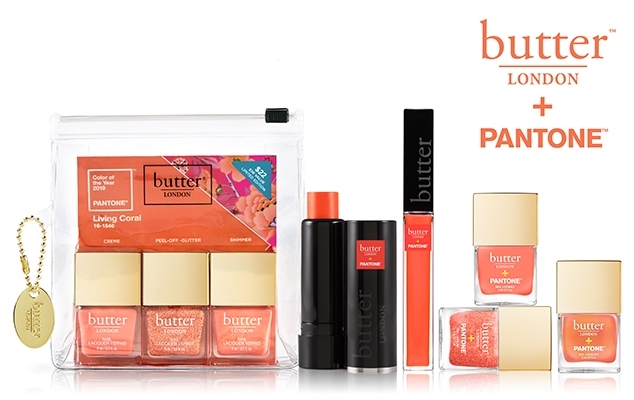 This year 2019, the color of the year is “Living Coral” and Butter London, Pantone’s official beauty partner just launched an exclusive 6-piece limited-edition collection featuring three Living Coral nail lacquers ($12 each), a lip gloss ($20), a blush stick ($24) and a 3-piece mini nail lacquer set ($22). 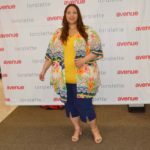 Coral is one of my favorite colors (I even have it in my logo) and one of the things that I like the most about it, it’s that it looks great in every skin tone. 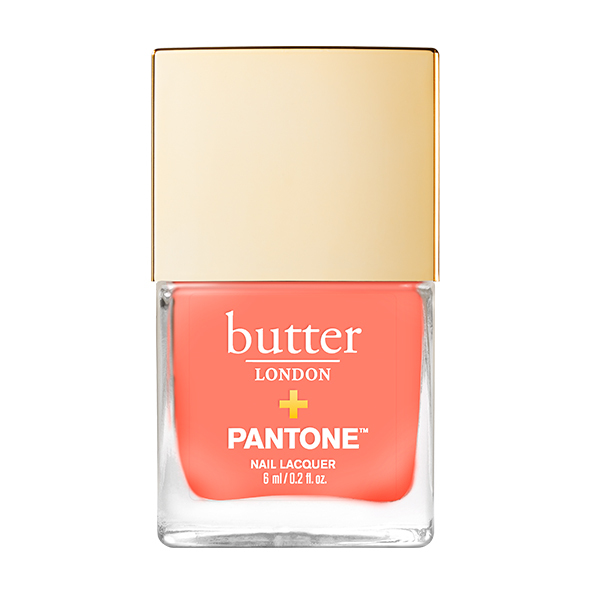 Pantone describes Living Coral as “an animated, life-affirming shade of orange, with golden undertones”. Coral is a joyful, warm, optimistic and playful color. 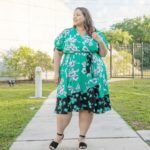 According to Pantone’s website, for over 20 years, Pantone’s Color of the Year has influenced product development and purchasing decisions in multiple industries, including fashion, home furnishings, and industrial design, as well as product, packaging, and graphic design. Expect to see this color everywhere in 2019 from makeup, to fashion to home decor. 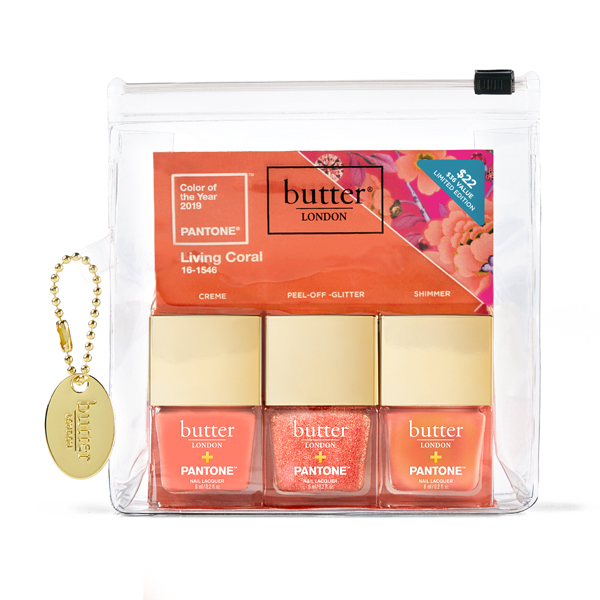 The Butter London x Pantone Living Coral Collection is available exclusively at butterlondon.com, ULTA.com and Kohls.com.